and teases the day into being. 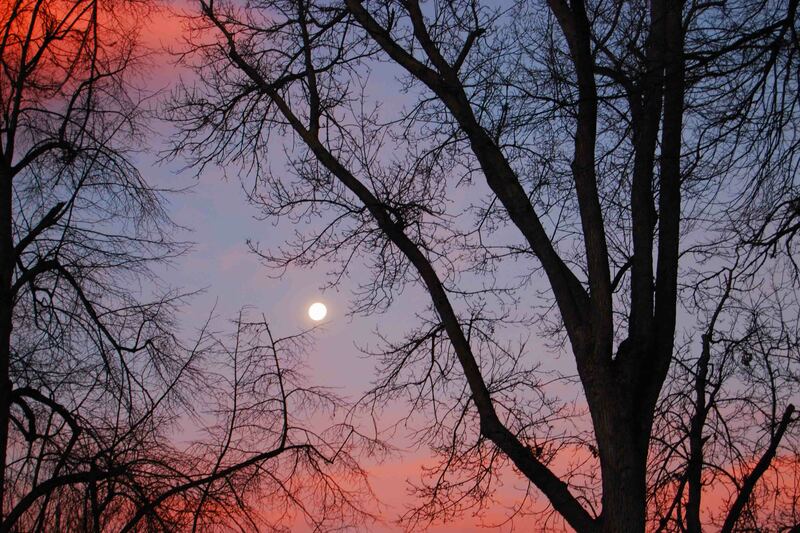 Amazingly beautiful picture of the moon and the tree! The colors on the edge of the photo are phenomenal! Not too mention your words compliment the photo so well! The poem is rich in its imagery! Really great work! Thanks for sharing! What a wonderful surprise to find your comment Thomas! Due to some travel and computer problems I somehow missed it until now. Just the encouragement I needed today. Many thanks! That photo–incredible capture, as beautiful as the poem. Thanks. Thank you so much for your encouragement! I am sorry for the delay in my response – some travel and computer problems kept me from discovering your comment until now. But I so appreciate it!